These lovely products are formulated with gentle oils to nourish and protect babies’ skin. Lightly fragranced with chamomile and mandarin essential oils which are said to be mildly antiseptic and calming, they are free from any palm oil and derivatives, contain no foaming agents or preservatives just saponified vegetable oils, glycerine, water and essential oils. Carishea are the products of Traderight International who ensure that the ingredients and products are sourced and manufactured in an ethical way. 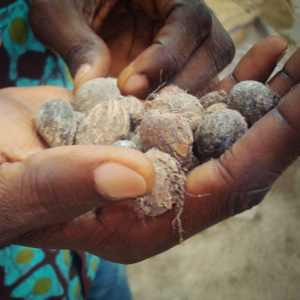 Carishea works with co-operatives in Ghana where Shea nuts are ‘wild crafted’ & ethically harvested by women working with Trade Right International, who employ & empower people from deprived communities. Choosing to buy Carishea products supports a new form of social business. Carishea believe in paying fair wages and return profits into valuable education and community development programmes, buying Carishea products make a difference to all. The Coconut oil is sourced from Liberia & taken to Ghana by road, it is shipped, along with the Shea butter, to Trade Right International’s Scottish facility, a ‘holistic social business’, where people excluded from the labour market are employed & empowered to handcraft the products into luxury soap & cosmetics. As well as this, Ghanaian women working with Trade Right International can produce up to one bucket of Shea nuts in just over five days which could be worth £0.10 per kilo in the market. Carishea website.